D ani Cooperman is a mixed media artist who constructs imagined spaces to create a dialogue between a place and its supposed inhabitants. 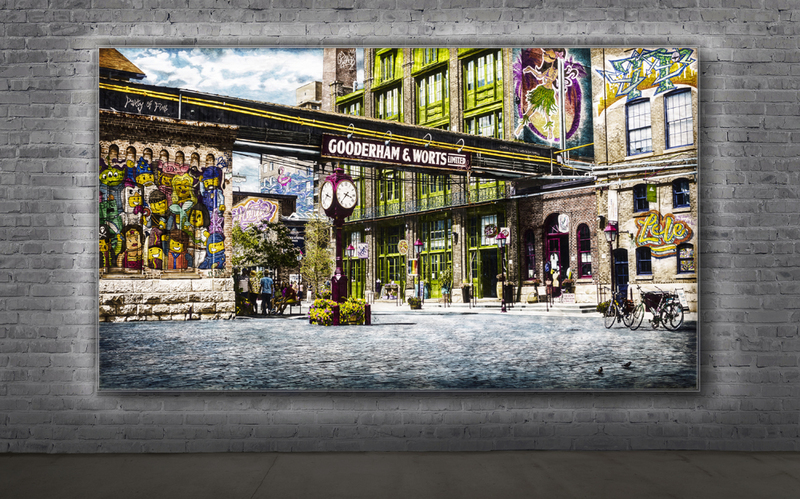 Born in South Africa and raised in Toronto, Dani Cooperman received her Bachelor of Design from the Ontario College of Art and Design in 2003. While working as an advertising art director, she was drawn to the world of graffiti through her own incessant urge to create. Many street artists experience this same compulsion and utilize public spaces for their artwork despite the inherent risk. 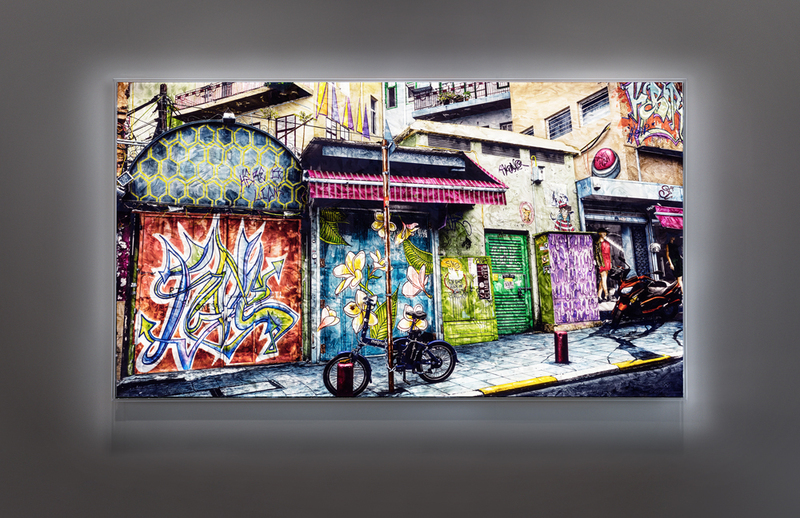 In cities around the world, the role of graffiti has become a cultural medium to connect communities and ideas through art. Harnessing the energy of the space, Cooperman manually adds hand drawn graffiti and street art elements to her own original black and white photographs. These visual constructions add dialogue to her personal experience in that place and time. The viewer is drawn into the scene and given the opportunity to produce their own emotive connection to the fabricated environment. 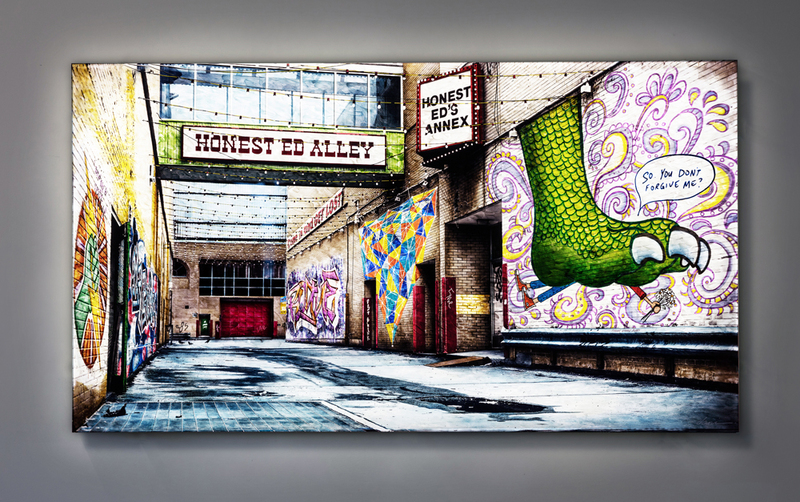 When choosing her subject matter/story, Cooperman travels to different cities looking for captivating streetscapes full of dimension and texture and photographs them. Really focusing on her surroundings, she takes detailed notes of conversations that she overhears, the local culture, as well as the distinctive street art native to that part of the world. 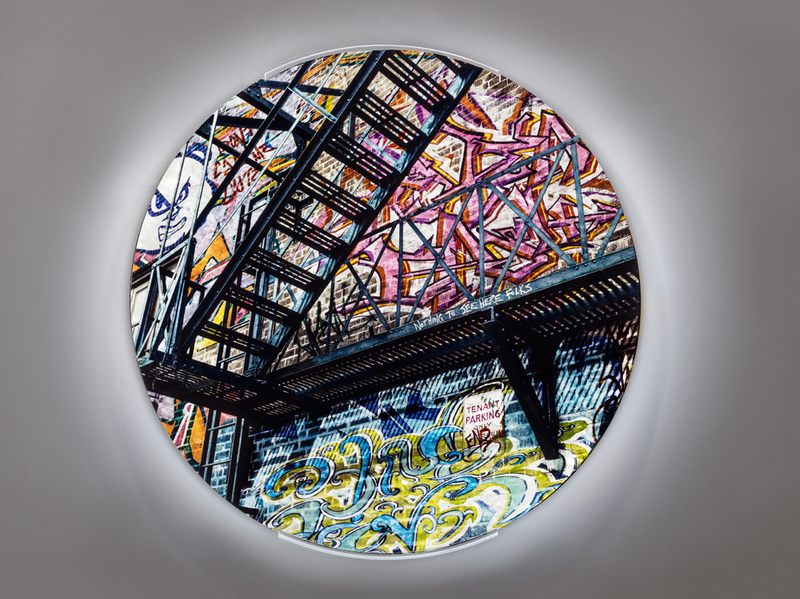 Afterwards, she uses a sketch pad and her computer tablet to create digital graffiti that is superimposed into the black and white photograph. 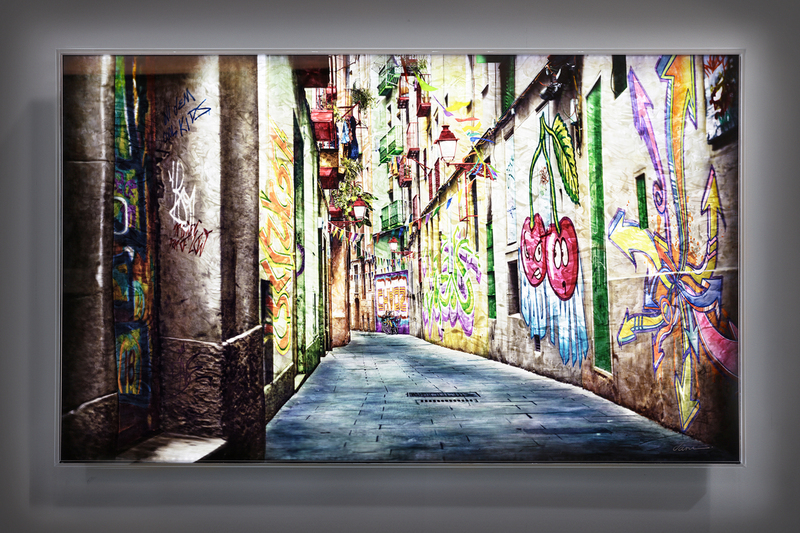 The final image is printed on a large sheet of plexiglass, and then meticulously painted with multiple layers of acrylic. 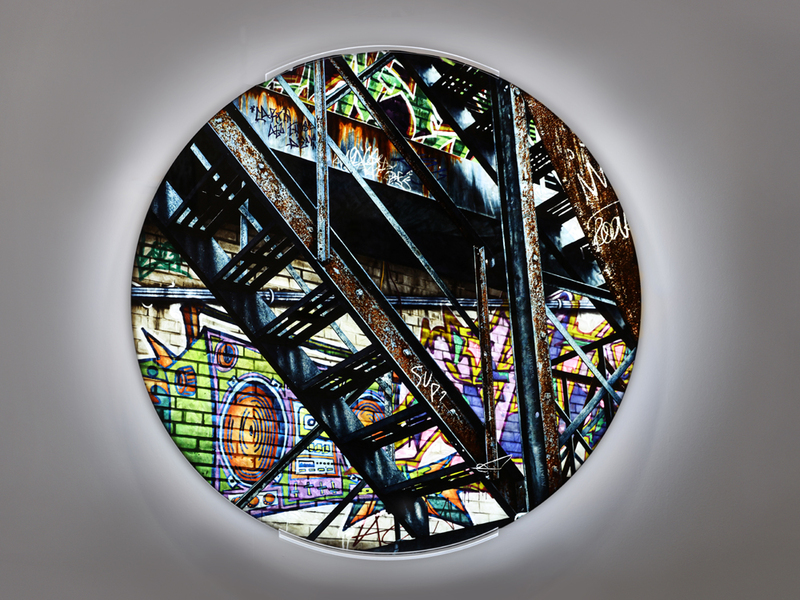 Cooperman’s mixed media pieces are a blend of photography, digitally-created graffiti, acrylic paint, and LED light behind plexiglass. 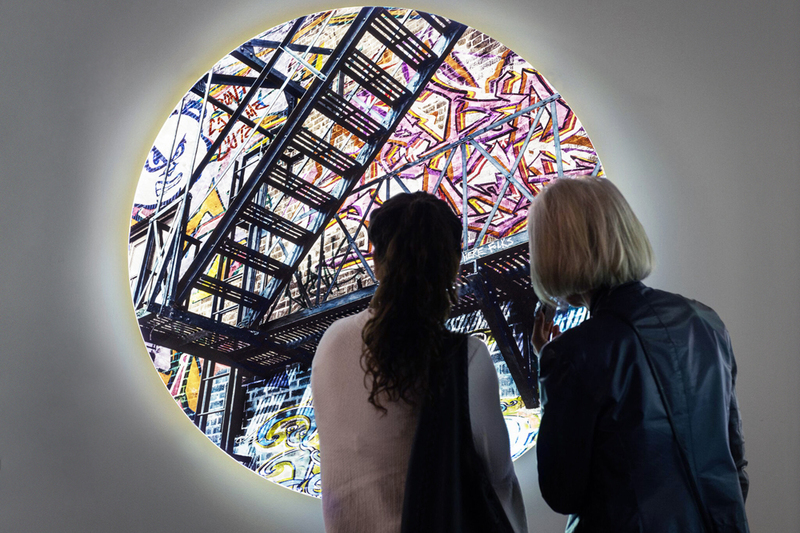 Utilizing the interplay of light through the plexiglass, as well as various layering and scraping techniques, she creates a multi-dimensional effect that changes as the light levels are altered. Cooperman has taken graffiti art to a new level. As a child, she learned photography from her grandfather and worked for a portrait photographer during university. Even at a young age, her interest in painting was encouraged by her grandmother [a talented amateur painter] and her parents. Cooperman always had a love for experimentation, teaching her various techniques and methods. During her eleven years in advertising, she hired and worked with some of the best photographers, illustrators and typographers in North America. All disciplines from the various parts of her life molded together perfectly into the art that she creates today. 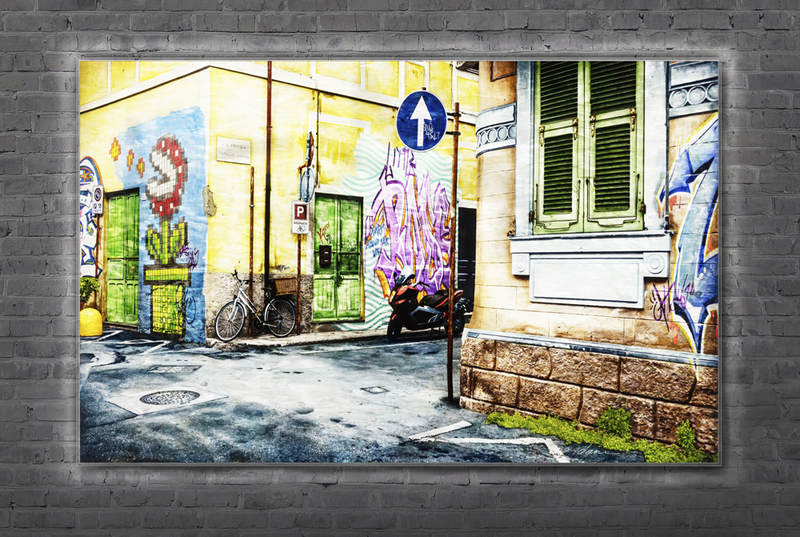 Creating extremely labour intensive work, the hand drawn graffiti elements and photo retouching takes a few weeks, while the painting process can take anywhere from 2 to 4 months, depending on the scale of the artwork. 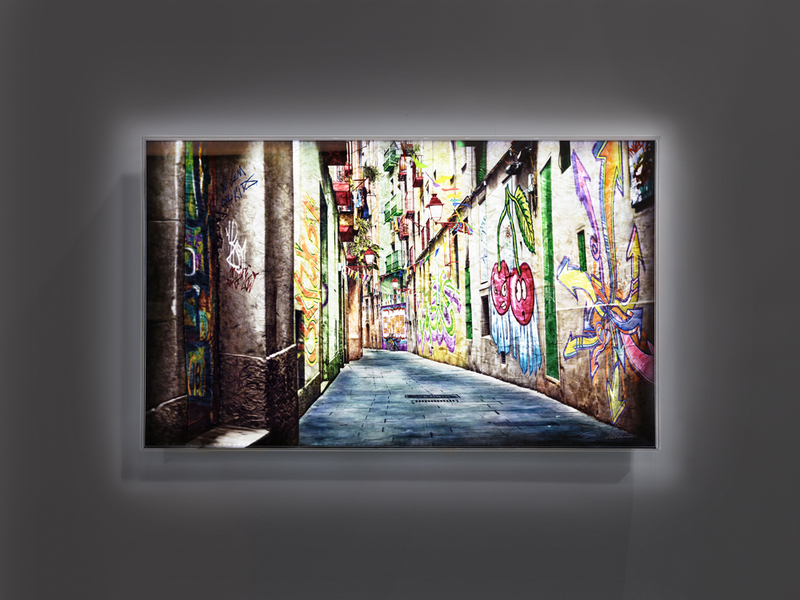 Cooperman has exhibited in Toronto and USA and her works are held in commercial and private collections in Toronto, New York, Johannesburg, Tel Aviv, Panama City and Miami.